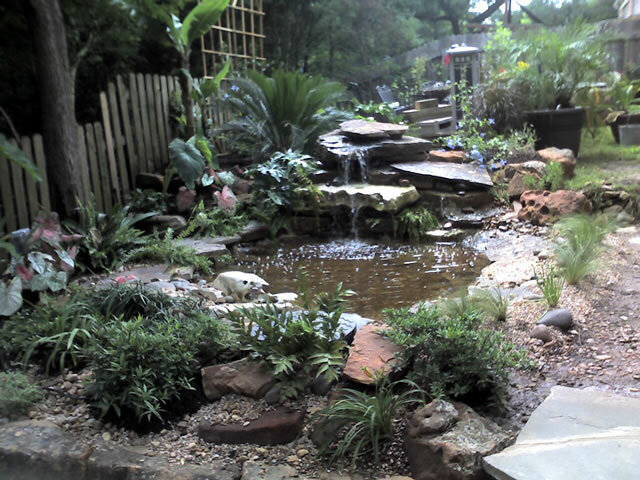 Water features have long been valued for both their beauty and utility. The sounds of streaming water add both beauty and ambiance to an outdoor area. How else can you simultaneously enliven your landscape, help the environment and increase your property value? 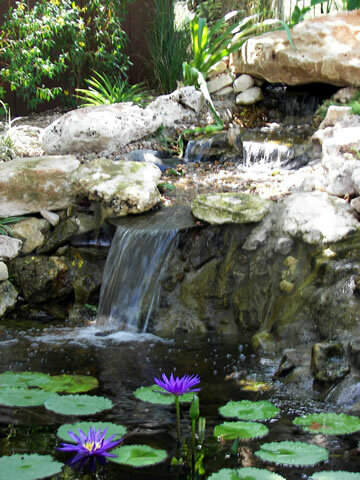 The white noise of a waterfall brings a calm, meditative and contemplative space to your backyard. Newberry Landscape’s well designed and constructed water features are a joy to behold. Technological advances combined with natural elements such as water, fish and plants, along with a knowledgeable installation, are the keys to an enjoyable and low maintenance pond, fountain or water feature. Copyright © 2019 by Newberry Landscape, New Braunfels, Texas. All rights reserved. Site by WebWeaverWoman.com.